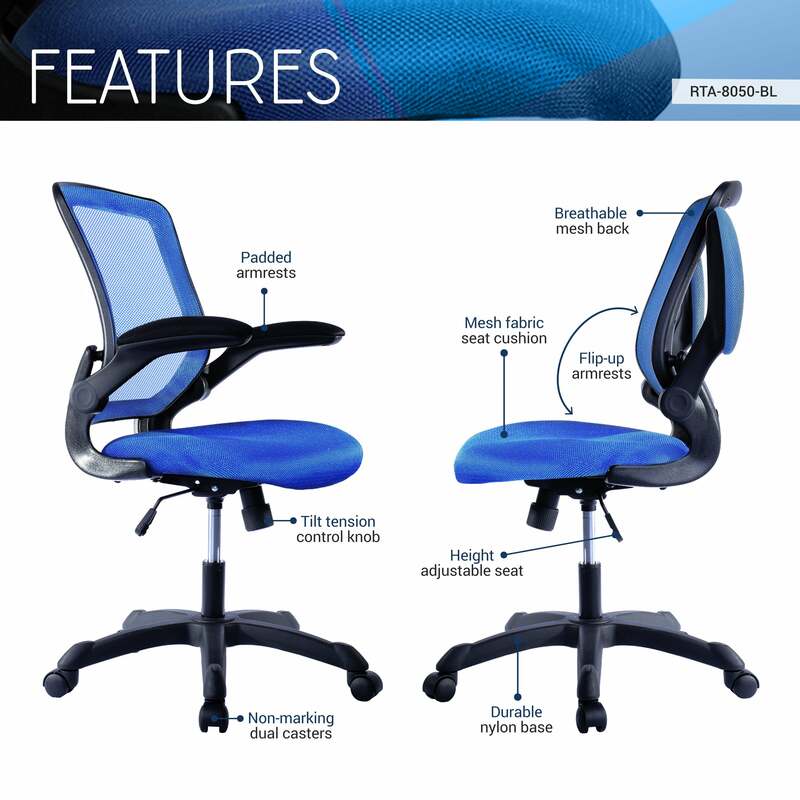 The Techni Mobili Task Chair is a fun, lightweight office chair that features breathable mesh back support, pneumatic seat height adjustment with adjustable tilt tension control, fabric mesh seat cushion, flip-up armrests, durable nylon base with non-marking casters and fits people up to 200 Lbs. It is Ready and easy to assemble. Color: Black & Blue.